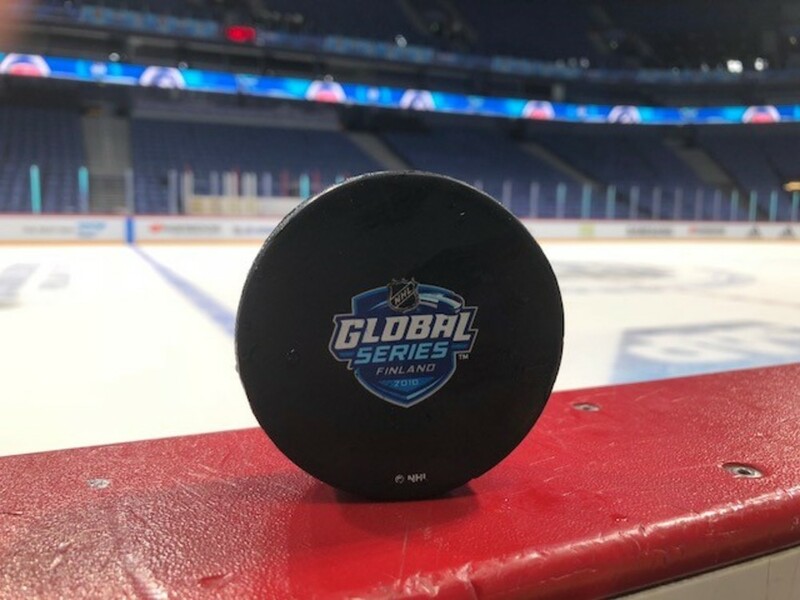 2018 NHL Global Series Finland practice puck - Florida Panthers - October 30, 2018 at the Hartwall Arena in Helsinki, Finland. Own this practice-used puck from the 2018 Global Series between the Florida Panthers and Winnipeg Jets. This puck was used during the Florida Panthers practice on October 30, 2018 at the Hartwell Arena, in Helsinki, Finland. This practice puck was collected by an NHL representative and comes with a Certificate of Authenticity from the NHL. This is an officially licensed NHL product. - Generic image used in listing, actual wear and usage of puck received will vary. *Shipping on these pucks may be delayed. Pucks should ship within 2 weeks of payment.